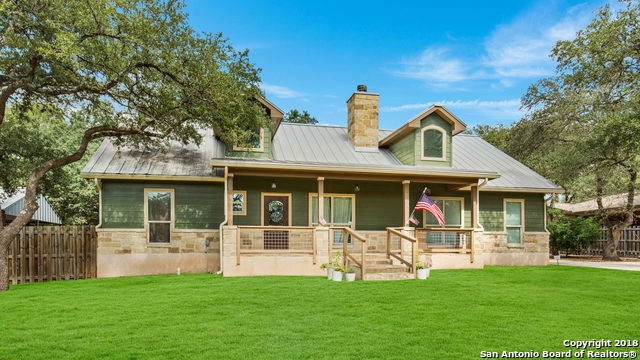 All Indian Hills homes currently listed for sale in Boerne as of 04/18/2019 are shown below. You can change the search criteria at any time by pressing the 'Change Search' button below. "Seclusion and privacy on 1/2 acre with mature trees, backyard oasis and incredible man cave. 2010 one story home has gas cooking, Bosch appliances, double oven, granite counters. Three bds, 2.5 baths, study, great mud room, covered patio and extended deck. 25x25 detached man/woman cave with HVAC. Newer AC. Concrete driveway with multiple parking spots., inviting front porch, metal roof. Definitely a great place to call home. BACK ON MARKET -BUYER BACKED OUT - NO INSPECTIONS DONE."